The details of a great boat accumulate in ways that you may never notice. But feel free to imagine. 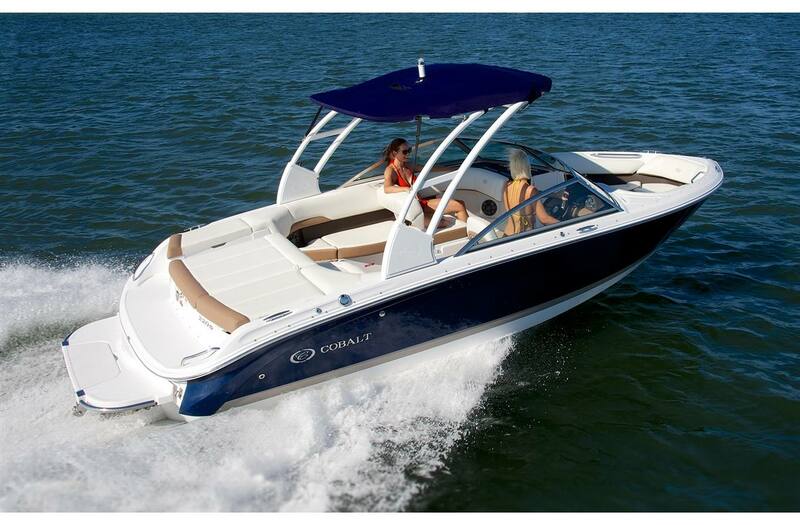 Come aboard the 220S and experience the comfort and convenience typically found only in far larger boats. Experience a spaciousness that maximizes flexibility in your use of the boat, thanks to free space reclamation, Cobalt's studied minimization of heretofore unused space. The 220S makes idealized use of every square inch of its wide and sturdy stance, the "S" seating layout key to the easy accommodation of a dozen guests and their gear. And the swim step, of course, Cobalt's game-changing, patented contribution to safety, convenience, and accessibility makes boarding a breeze. 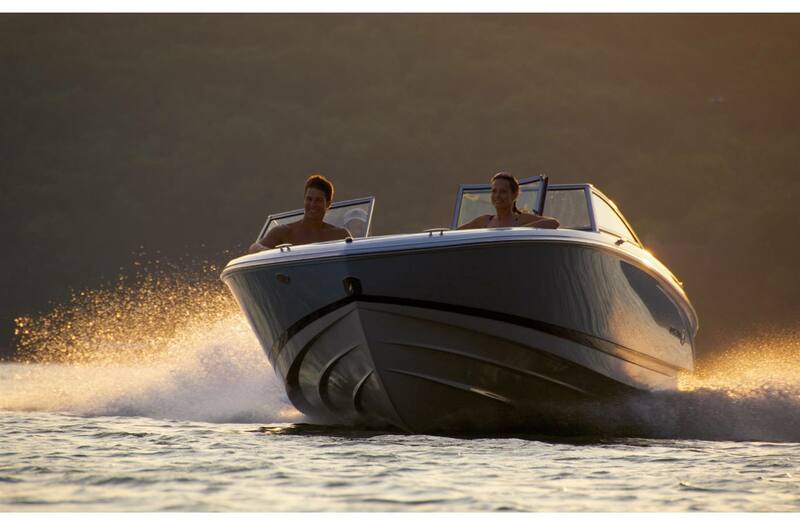 Memories gather naturally under the 220S's optional aluminum wakeboard arch - simply foldable, by the way - an addition that makes your boat as athletic as it is roomy. Mention the word “athletic" and the 220S steps up to the plate. Big fun - the extended running surface hull design provides explosive hole-shots, easy and extended zooming, the tight, high-speed turns skiers and boarders want - while affording you some remarkable efficiencies in fuel management. 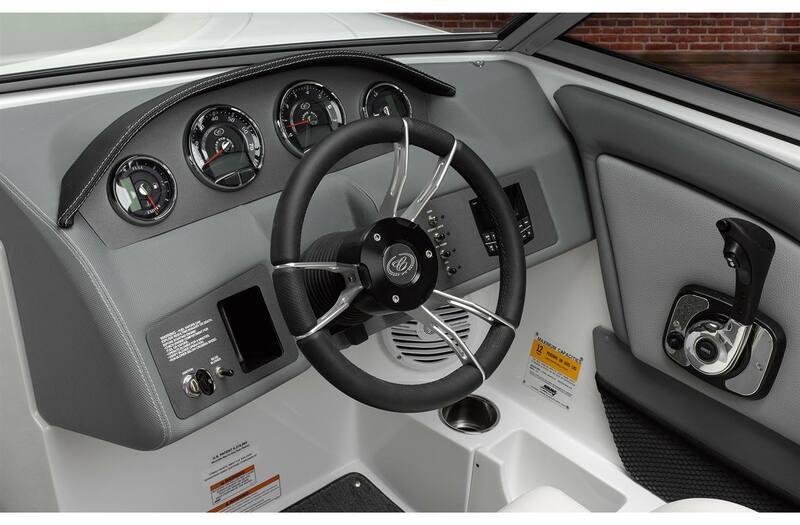 The interior seating configuration combines an oversized, all-in-one cockpit layout with the amazing on-water performance that has become synonymous with Cobalt. Your co-captain can face forward in the traditional manner, or flip the seat down easily transforming the cockpit into a massive arena-style seating arrangement. The choice is yours. Length Overall w/o Swim Platform: 21 ft. 4 in. Length Overall w/ Swim Platform: 22 ft. 10 in.